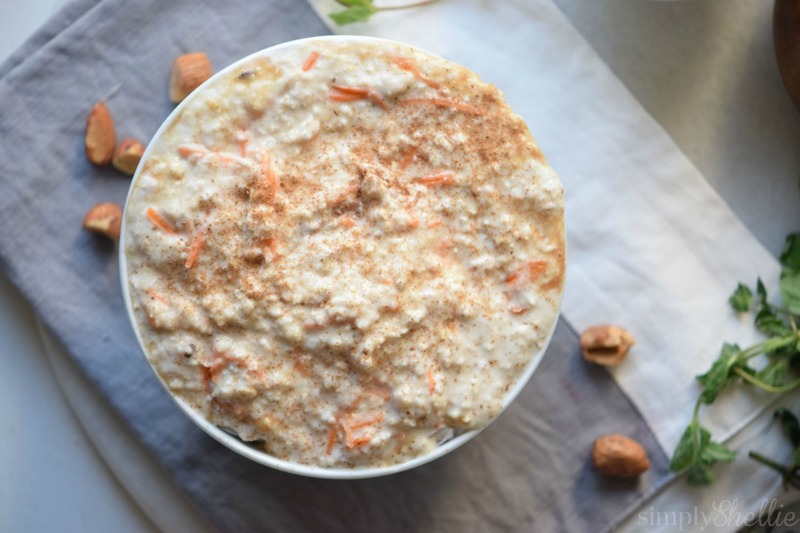 Carrot Cake Oatmeal makes for an easy, weekday breakfast. Because who wouldn’t want cake for breakfast? Today I’m sharing the perfect breakfast with you. 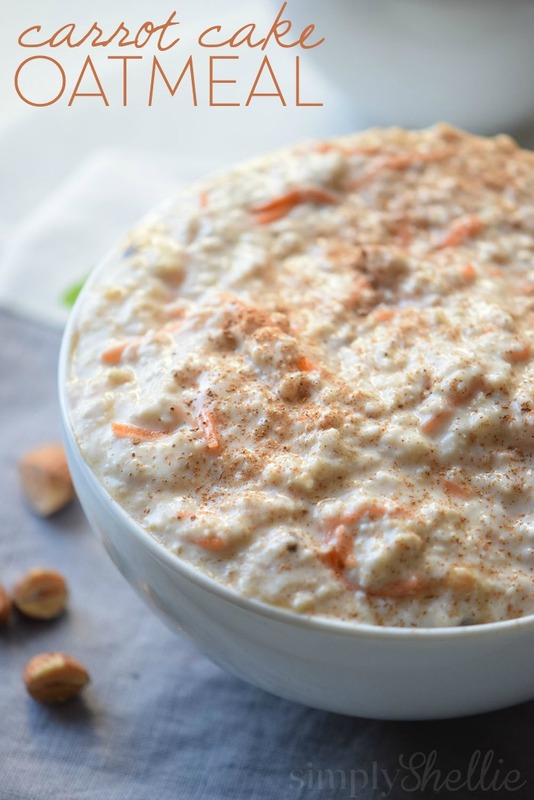 This carrot cake oatmeal recipe is creamy, crunchy and sweet. Simply delicious yet it packs a serious punch for breakfast. It’s full of whole grains, protein and heart healthy almonds – not to mention vegetables. You’ll never be happier eating carrots for breakfast. See? You can have your cake and eat it too! Carrot Cake Oatmeal comes together pretty quickly so you can easily make it on a busy weekday morning. It’s a perfect, filling way to start the day. Add the milk and oats to a pot and bring to a boil. Reduce to medium heat and add the carrots, almonds, honey, cinnamon, nutmeg and vanilla. Let it simmer for about 5 minutes and stir occasionally. Serve warm and top with cinnamon. There are so many ways you can dress your Carrot Cake Oatmeal. Add a half cup of raisins. I love putting raisins in my oatmeal, they get so plump and delicious in there! Also, carrot cake is traditionally made with walnuts so you can swap the almonds for walnuts if you’d like. I usually have almonds in my pantry which is why I typically use those. You can also add some brown sugar or maple syrup if it’s not sweet enough for you. Or add some extra milk if you need it a little thinner. However you dress your Carrot Cake Oatmeal, it’s sure to take up permanent residence in your breakfast rotation! Need more Oatmeal ideas? 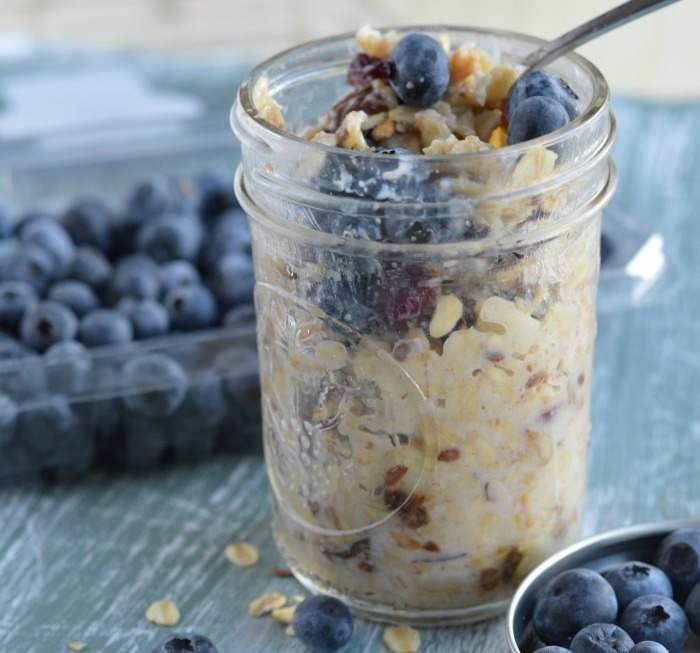 Try this recipe for Overnight Blueberry Oatmeal! 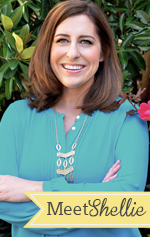 Be sure to follow me on Facebook and Pinterest for more amazing ideas!